You Are Here: Home > Where is the Best Place to Buy Affordable SUVs in Annapolis? Where is the Best Place to Buy Affordable SUVs in Annapolis? 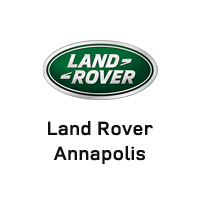 Land Rover Annapolis is the one-stop shop for affordable, comfortable SUVs for you and your family. Nothing quite fits the bill like a used SUV when you need plenty of space and capability at a price that’s right for you. But in a segment filled with gaudy luxury models and truck-like heavy duty vehicles, it can be tricky to find a reliable SUV that doesn’t break the bank. Fortunately, we understand affordability to the fullest– which is why we have a great selection of cost-effective used SUVs to compliment our lineup of Land Rover SUVs. To accommodate the perfect balance of affordability and peace of mind – our selection of certified pre-owned and used models deliver all the dependability of an untouched SUV at a more accessible price. Whichever route you deem perfect for your family, you can trust Land Rover Annapolis to offer an incredible deal. We’re proud to offer the people of Annapolis a wide inventory of used models at accessible prices. Our team of financial experts are ready to help you work out a lease or loan that fits you personally, no matter your credit history. And our highly-trained service staff will make sure that your SUV keeps running at the best of its abilities, long after you’ve left the lot.